AquA AnimaniA is your #1 local source in Windsor, Essex County and Beyond, for aquarium lighting! Improper or insufficient aquarium lighting causes fish stress, lessened activity and coloration, and poor growth and health in fish and invertebrates. The goal of fish tank lights is to replicate the natural conditions of light in natural habitats. Most aquarium fishes need up to 12 hours a day of the appropriate level of daylight, and it’s up to you to give them normal days and nights as they don’t have any other way to normalize behavioral cycles (like spawning or even feeding). We provide friendly, expert advise and tips plus carry a full line of aquariums, aquarium kits, aquarium filters, aquarium pumps, aquarium supplies, aquarium tanks and an endless selection of aquarium accessories and much more! Aquarium lighting fixtures aim to recreate natural lighting conditions in your freshwater or saltwater aquariums. The type and intensity of lighting you need will depend on the kinds of organisms you keep and the depth of your aquarium. We carry the best aquarium lighting fixtures from the top manufacturers; if you’re installing in a hood or canopy, make sure they will fit! The color spectrum of any bulb will change with age and bulbs generally need to be changed every 6-8 months. Deeper aquariums require extra or stronger bulbs. Check your lighting fixture to find what size and wattage of light bulb you will need. Aquarium hoods and glass canopies cut down on water evaporation, prevent fishes from jumping out (and things from getting in), and support your lighting fixtures, while providing convenient access for feeding, maintenance and equipment cables. Check out the sections below if you are undecided about which type of cover to use. Both hoods and canopies will give a sleek, finished look – combine with an aquarium stand for ultimate sophistication! Aquarium hoods prevent fish from getting out, detritus (and nosy paws or hands) from getting in, and house your light fixture with easy feeding access. Back strips may be necessary for some hoods to secure them in place, and provide access for filter and other equipment cords and cables. You can even use a glass canopy underneath larger hoods to minimize evaporation. Some aquarium hoods have matching stands for a finished look, and others have built in light fixtures – you’re sure to find one perfect for your aquarium! Aquarium glass canopies have the same basic functions as hoods, but provide better protection against water evaporation (you can even use one under your hood for added protection). You won’t be able to hide lights under them, but any strip light or overhead fixture will complete your setup. Our aquarium glass canopies are sleek and sturdy, look great with any stand, and come in different sizes to fit your tank. We have the aquarium lighting accessories to get your new lighting fixture installed and running. Ballasts for fluorescent, compact fluorescent, and metal halide fixtures (check if yours already comes with one). Power strips to protect your equipment. Aquarium lighting timers for stress-free assurance that your aquarium is getting the light cycle it needs no matter what. We also carry miscellaneous bulb and fixture accessories, like mounting brackets and end caps, to complete your setup. Trust AquA AnimaniA for the highest quality and healthiest live aquarium plants, live coral, saltwater marine fish and freshwater tropical fish species in the industry. We also stock a wide variety of healthy and nutritious fish foods and live foods along with an endless selection of fish supplies. 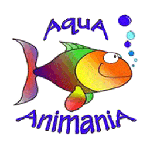 AquA AnimaniA also carries various pets, birds, amphibians, small animals plus thousands of pet supplies and products for and outdoor garden ponds along with various species of healthy pond fish, including a fantastic selection of lively pond plants and a whole lot more!